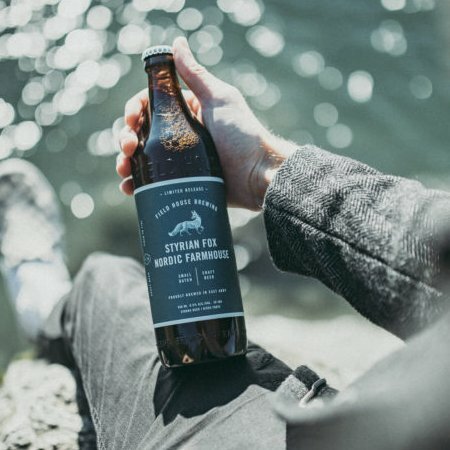 ABBOTSFORD, BC – Field House Brewing has announced details of its newest limited edition beer. This farmhouse ale was brewed with barley, wheat, and oats, then fermented at high temperatures with a Norwegian Kviek yeast strain known for producing citrus and floral notes. We complemented these flavours by lightly hopping with two new Slovenian hop varieties, Styrian Fox and Styrian Wolf. Styrian Fox will be available starting tomorrow (February 14th) in 650 ml bottles and on tap at Field House while supplies last.